Today in different areas of K-town, we can see emerging bands and singers and among them Accoustix is one band which has recently stepped themselves in the forum of music. Accoustix, the alternative commercial band is the special attraction of SXC Mela on 30th jan 2014.
" We will be performing 4 different songs that will be in Nepali and English in the Mela to rock the stage. We shall perform different songs according to the will of audience ". The band hopes to find rocking environment in the Mela through their rock songs. He forecasted that about their new song BUJHANA will catch the heart of audience. He revealed that the special attraction in mela will be the tribute given to ex. xavierian Navanit Khanal for his sudden demise. Accoustix is the alternative commercial band which was formed in 2010. Accoustix just released Bujhana music video from their Album "Leftovers" consisting of seven songs and the next music video will be Akha Bhitra. While, the band who have sang a tribute song for Navanit are looking forward for a tribute video which is also scheduled to be coming soon. The alternative commercial Accoustix started in the year 2010 are five of them in band including Sobin Shrestha, Mahesh Sunuwar, D'pan Maharjan, Tunna Bell Thapa and Dipak Chauley khadka. 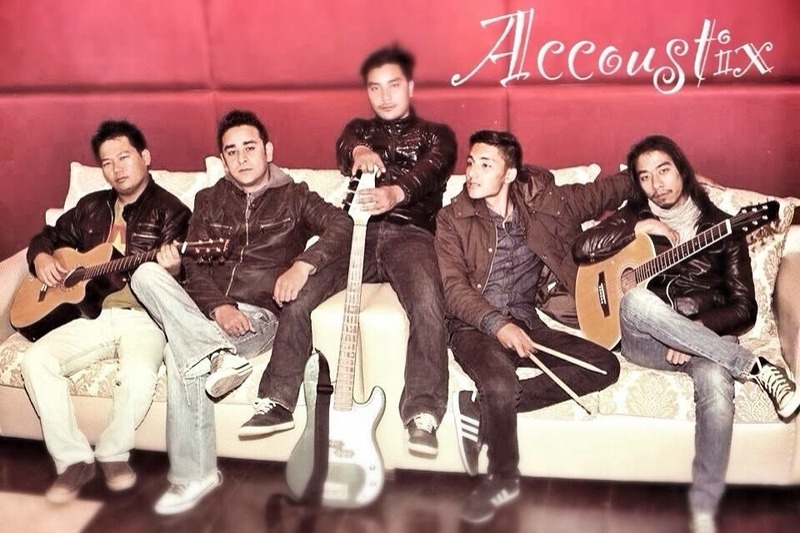 As emphasized, +Accoustic Accoustix will be performing at SXC Mela on 30th January, 2014 at St. Xavier's School Ground (Entrance from South Gate). Where can you also meet and listen them ? +Shyam Dahal is a Xaverian and also writes for +View Your Choice- तपाईको सोचाई हाम्रो रोजाई - as being one of the key partners of SXC Mela.